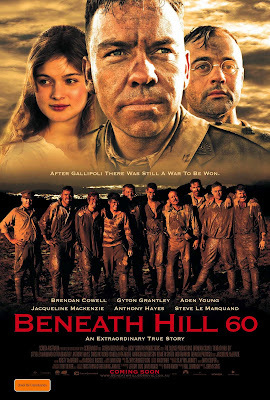 Follow the progress of the upcoming Epic Australia WWI Feature Film, Beneath Hill 60 as it goes overseas and onto DVD. From the Development, Pre Production to the Shoot and Post Production up to it's release in the Cinemas and now on DVD and BLU RAY, from Paramount, from August 19, 2010. The picture of the film has been locked off in the editing rooms at Cutting Edge and delivered over to Soundfirm next door for the sound mix. We've brought back some of the actors to record ADR (Additional Dialogue Recording) - a process in which the actors re-record dropped dialogue or lines affected by sound issues on set, as well as recording voice-overs. Jeremy Sims (our Director) believes the Music to be one of his favourite parts of film making. 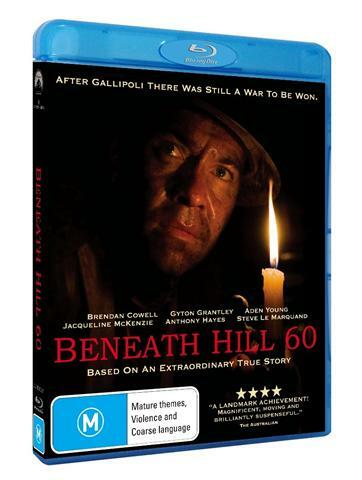 In his first feature film (Last Train to Freo), he selected and pieced together all the music himself, but wanted to create a more 'epic' feel for Beneath Hill 60, using Music on a larger scale, with an original orchestral score. He feels the music will play an integral part in creating drama and wants it to have a massive presence in the film. We are thrilled to have reknowned composer, Cezary Skubiszewski on board to write the original score, to be recorded by the Melbourne Symphony Orchestra. Cezary will work closely with our Sound Designer, Liam Egan - combining sound Design with the Sound Effects recorded on set (by Sound Recordist Mark Cornish), to create a rich sound palette. Also, we have begun drafting the poster art. The poster will go up around the place from Australia Day (January 26th), ready for the anticipated release of the film on ANZAC Day 2010. 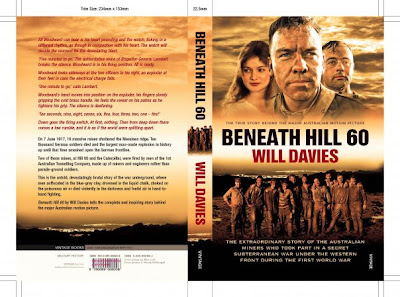 Historian Will Davies, has finished writing the book of the Film, to be released in conjunction with the movie release. Here's the draft of the cover Art. Congratulations on bringing this story to film.